O’ Prophet ! Why do you forbid for you what Allaah has allowed to you , seeking the goodwill of your wives? And Allaah is Forgiving, Merciful. Surely Allaah has ordained for you absolution from your oaths; and Allaah is your Patron, and He is the Knower, the Wise. And recall when the Prophet confided a story to one of his spouses, and then she disclosed it. 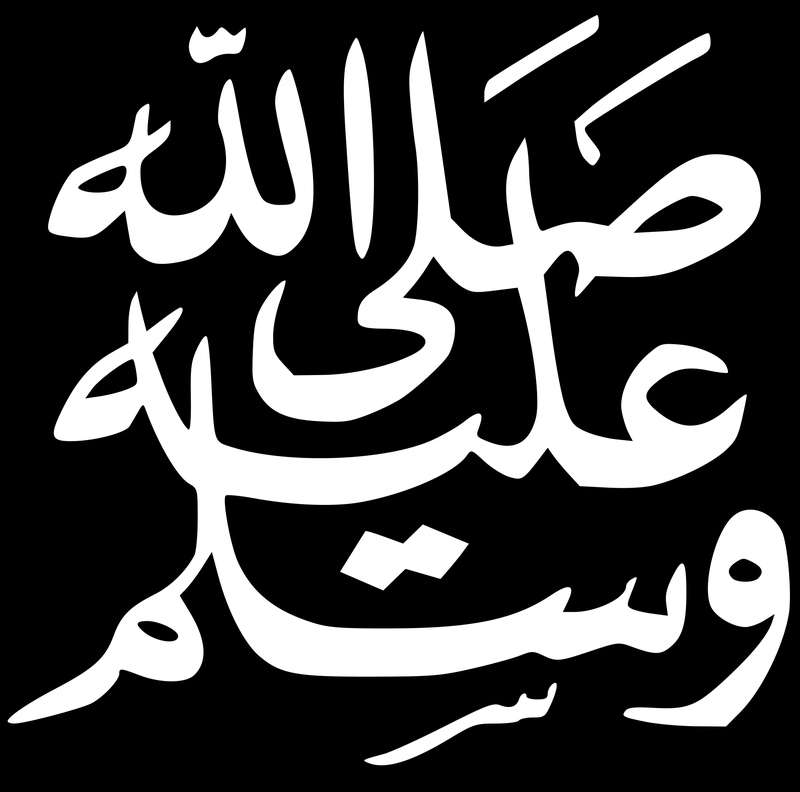 Allaah apprised him of it; he made known a part of it, and a part he withheld. Then when he had apprised her of it, she said: Who has told you of it? He said: The Knower, the Aware has told me. Then if you twain turn to Allaah repentant, it is well; surely your hearts are so inclined. But if you support each other against him , then verily Allaah ! His friend is He and Jibril , and so are the righteous believers, and furthermore angels are his aiders. If he divorces you, perchance his Rabb will give him in exchange better wives than you: Muslims, believers, devout, penitent worshippers, given to fasting, both non virgins and virgins. O’ you who believe! Guard yourselves and your households against a Fire the fuel whereof is mankind and stones. Over it are angels, stern, strong; they do not disobey Allaah in what He Commands them, and they do what they are commanded. O’ you who disbelieve! Excuse not yourselves to-day; you are only being requited for what you have been working. The Holy Prophet stayed at one of his wife's place and took some honey. When he came to visit another of his wives she inquired if he had taken Maghafir, a sort of gum with an unpleasant odour. He said that it was only honey he had taken. She said that some Maghafir might have been mixed with it. The Holy Prophet disliked bad odours, so he swore never to take honey again. At the same time he asked her not to disclose it to anyone lest his wife who fed thim the honey feels hurt. She, however, disclosed it to another of his wives (whom she was close to), asking her to repeat the same thing. It was actually an attempt inspired by love to make him stay longer with them than he did with his other wives. But Allaah made it known through revelation and forbade the Holy Prophet against declaring a lawful thing prohibited for himself , asking him to expiate. Since he was the guide of the whole world, his abstinence from a lawful thing would cause difficulty for the later generations. The Holy Prophet was told not to renounce a lawful provision just to please his wives. Allah , being Forgiving and Merciful, has prescribed expiation for breaking an oath, so the Holy Prophet atoned by freeing a slave. When the Holy Prophet confided to one of his wives about the oath, she disclosed it to another. Allaah also informed him about it through revelation. He hinted to the wife he had told her that the matter was confidential, tacitly reminding her that he had asked her to keep it secret. Moreover, he was annoyed when another of his wives asked him the same that whether he had taken Maghafir. He said: Allah , the Knower, had already disclosed the whole issue to him . Since what had crossed your mind, though out of love, was unbecoming of your status, being in violation of others rights and you must repent. Allaah also cautioned that if they intended to dominate the Holy Prophet as is the nature of most wives, it would be impossible because He is by his side; and Archangel Jibril and all other angels and pious Muslims are at his beck and call. (1) It is permissible to give up a lawful thing due to illness or a genuine pretext but it should not be believed as prohibited. Tafsir-e-Mazhari asserts that the Holy Prophet resolved to divorce a wife of his , but for the revelation that she fasted frequently and offered her Salat and was included among his wives in Jannah. So he neither divorced her nor took another wife instead. Allah , however, declared that if they did not submit, He might well ask the Holy Prophet to divorce them, and bless him with better wives, believing, submissive, penitent, worshipping and given to fasting, both virgins and non-virgins. The Holy Prophet , however, did not marry after that, which indicates that all the aforesaid virtues characterized his noble wives. Allah also advises the believers to save themselves as well as their family members from Hell by obeying Him and His Prophet in all matters as its Fire is fuelled by humans and the stones being worshipped in the world. The angels guarding it are scornful and strict. They make no concessions and carry out Allah 's Commands without the slightest deviation. (2) Each and every man is responsible for training and educating his wife and children on the lawful and the prohibited to enable them to act upon Shari'ah. And O' non believers! Do not fabricate excuses to justify your disbelief This Day (the Day of Judgement) you would reap only what you have been sowing in your temporal life. You have no excuse for the aversion you harboured for the Holy Prophet , for his teachings would have benefited you had you followed them.